ZD-XL SQL accelerator 1.5 is a tightly integrated hardware/software, plug-and-play acceleration solution optimized for Microsoft SQL Server applications. 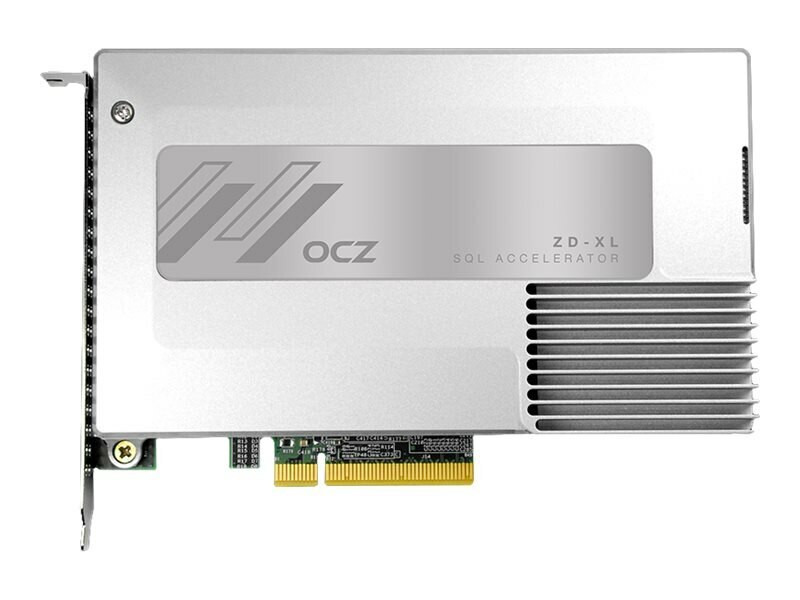 It leverages OCZ's industry-proven PCIe SSD hardware and application-tuned software to deliver low latency flash that resolves potential SQL Server bottleneck issues enabling the flash to be deployed as a local flash volume, a flash cache for HDD volumes, or as a combination of both. The solution includes a combination of fast flash performance, a unique cache mechanism that makes advanced and statistically-optimized decisions on what data to cache, and a dynamic cache warm-up scheduler that enables workloads to be placed on flash cache in advance of demanding and critical jobs.